The plot, pacing, and punch of this explosive novella are, in total, almost too much to take in at the same time. The Invention of Morel is a wonder. As I am with basically all television shows, I was late to the table on Lost. When I finally sat down to start watching the show, it was with the aid of Netflix, which allowed me to work through its six seasons in about six weeks. The compressed viewing approach amplified the show’s highs, but also laid bare its substantial flaws. Whereas the initial seasons were crafty and sophisticated in their fantastical, vague storytelling, the latter seasons failed to convincingly deliver on the dramatic tension, cosmic uncertainty, and intriguing suspense developed in the earliest episodes. With Lost, the writers cranked out so many disparate elements that it would have taken a genius to tie them all up in a nice bundle at the end. Their audacious gamble was, ultimately, their own damning indictment. 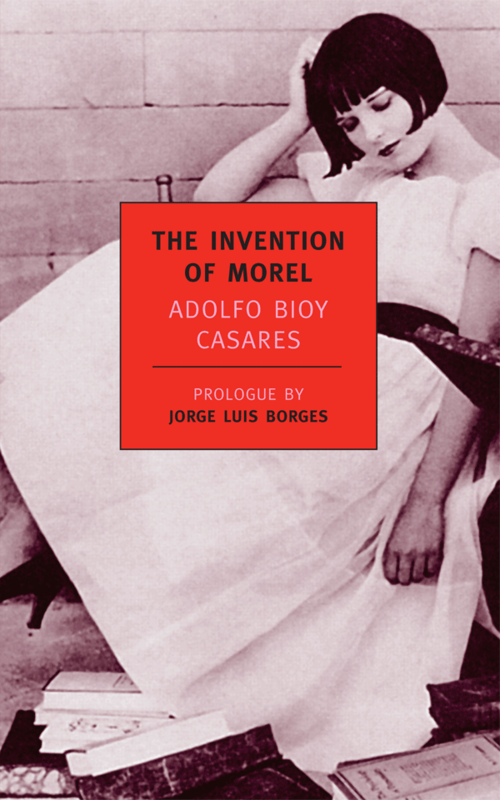 In many ways, The Invention of Morel, a short fantastical novella from 1940s Argentina, is similar to Lost (and, indeed, many people believe that certain of its plot elements served as source material for the television show; furthermore, the show’s surprisingly literate character — Sawyer — is also seen reading Casares’ novel in one of the show’s more interesting episodes). The author sets the action on an isolated and mysterious island, the protagonist is stranded there without aid, and bizarre things begin to happen almost immediately upon his arrival. Strange music plays at daybreak, an unholy number of mosquitoes populate the marshes, two suns hover in the sky, and mysterious people pop up at random intervals without taking any notice of the protagonist. Books that he steals from abandoned buildings are replaced the next day, doors won’t open, curtains appear to be made of rock, and so on. But whereas such fantasy became too much for the writers of Lost to juggle, the virtue of Casares’ novella is that the author remains firmly in control throughout. He manages not only to satisfy the reader’s indignant curiosity, but also squeezes from the fantastical plot enough symbolic insightfulness to satisfy any college literature professor. Although little known in American circles, it’s hard to overstate the impact this novella had on the Spanish speaking world. The great denizen of the fantastic, Jorge Luis Borges, wrote the prologue to Morel and concludes his introduction by noting of the story: “to classify it as perfect is neither an imprecision nor a hyperbole.” The Nobel Prize winning poet Octavio Paz exuded commensurate praise, noting that Morel “may be described, without exaggeration, as a perfect novel.” The novella’s influence on Cortázar and García Márquez is readily apparent and even the great French filmmaker and author, Alain Robbe-Grillet, used it as source material for his Last Year in Marienbad. Altogether, not a bad batch of accolades. So why does Morel succeed? I would argue that it works on three fronts: plot, pacing, and theme. To begin, Casares backs himself into a narrative corner by piling on page upon page of implausible happenings in the first two-thirds of the novella. It gets to the point where you begin to think that nothing could really explain the insanity of the island, that nothing but, say, a revelation that the protagonist is profoundly mentally ill could account for such dramatic suspension of physical, social, and temporal laws. The protagonist — an escaped convict — believes himself to be completely isolated on the island when the “other” people first begin appearing. They pay no attention to him, despite his deeply flawed attempts at reconnoitering, and we begin to realize that he’s such a bumbling idiot that even a grade-schooler would have realized that she was being spied upon. The commonsense conclusion at this point in the narrative is that he’s simply being ignored by the group. Fair enough. But he begins to behave more daringly, entering their house and their bedrooms while they sleep, crawling under the dinner table while they dine, and so forth. Still, nothing. There’s also the aforementioned business of the two suns and myriad other peculiarities. One of the greatest things about Casares’ novella, then, is his ability to explain what’s transpiring without shrugging it off as the protagonist’s hallucination. He doles out something of a magical plot, but then reels it in analytically. Secondly, the guy is just a master when it comes to constructing a measured — but rollicking — story arch. The pace at which we progress through the narrative is pitch perfect; it feeds us a steady stream of details to keep us interested, pauses for just long enough on certain details to stress their importance, lingers occasionally (but only occasionally) in philosophical or metaphysical sidebars and, in general, balances every quiet moment with a loud one. It keeps the pages turning. I read it in a weekend. Finally, and perhaps most intriguingly, is Casares’ ability to elicit from the fantastical plot elements a number of truly trenchant and profound takeaway points on the nature of love, time, isolation, deception, science, and the afterlife. This is no straightforward genre novel. I’d go so far as to say that it was probably the most thought-provoking novel I’ve read that falls in the 100-page range. It truly is impressive how much thematic substance the author is able to cram into such a scant volume whilst still ensuring that it adheres to all the great tropes of a classic adventure story. I’m at a loss for what else to say; much more would spoil the reading experience. Sometimes the best novels require the shortest reviews and this is one of those circumstances.